RC Concrete provides numerous textural finishes which are already a part of the patterns. In addition to those, we have a number of other finishes that can provide a much better look to your home. These finishes can range from smooth, clean finishes to non-skid features on slopes and inclines, to prevent slipping of individuals. These can be combined with any color choice to provide luxurious designs to charm the eyes. Concrete driveways have known to always be extremely durable and utilitarian in nature. When it comes to concrete driveways, our team of experts will assist you in designing the best concrete driveway with a lovely finish. With the professional approach that we have towards the entire process, it is obvious that our clients will be extremely happy with our stamped concrete finishes. Driveways are often neglected by homeowners as they do not seem to provide any aesthetic sense to the house. However, a well-designed driveway can add a lot to the overall impression of the house. Driveways need to be extremely hardy as they see a lot of wear and tear, therefore concrete is an apt material that can carry out all the functions required. Being an inexpensive material it can be easily maintained and repaired if so required. 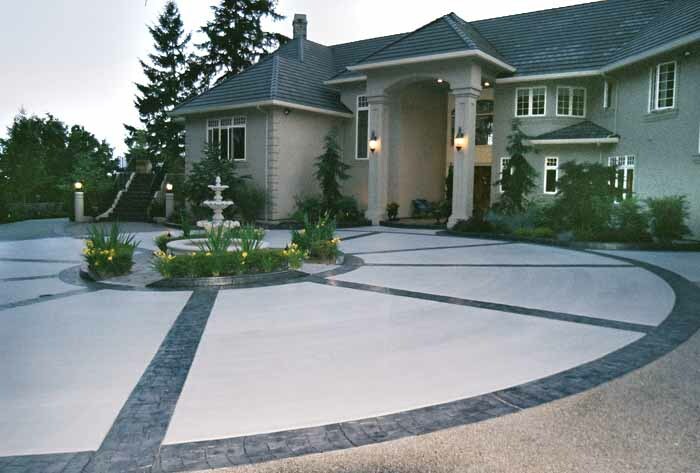 RC Concrete offers a variety of innovative finishes to make a better driveway or walkway. 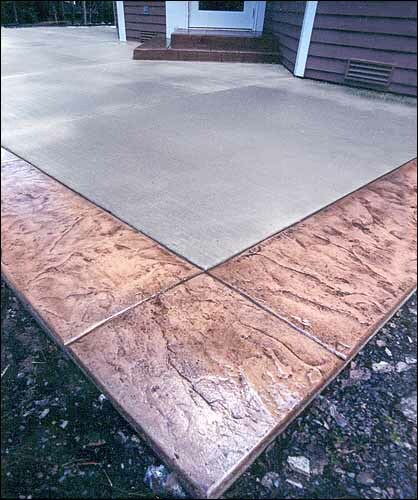 By adding color to to the concrete mix, you can add contrast to the concrete which can give it a nice color variation. Texture mats can be utilized to give different textures to the driveway, making it appear like a wooden finish, slate or marble. 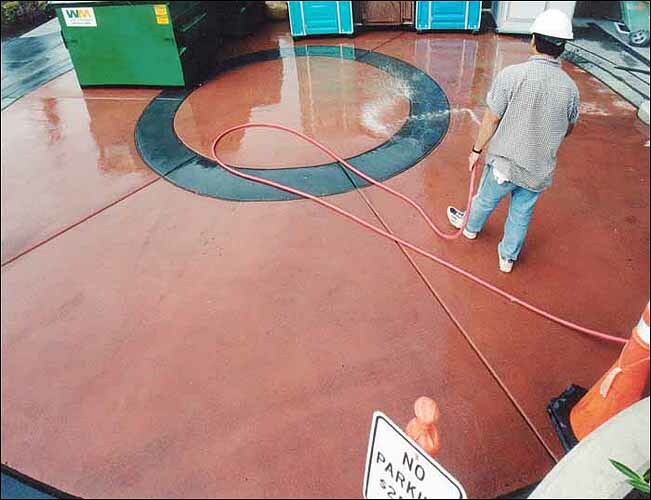 The most commonly used concrete finishes in Washington State area are broomed and exposed aggregate finish. This is good for walkways as the exposed pebbles provide a good amount of friction preventing slipping. RC Concrete provides services in the areas of Puyallup and Tacoma and is well known among the residents of this area for providing the best stamped concrete finishes.